Twitter has long been a staple for social media marketers, but even for seasoned veterans, Twitter always holds untapped potential. 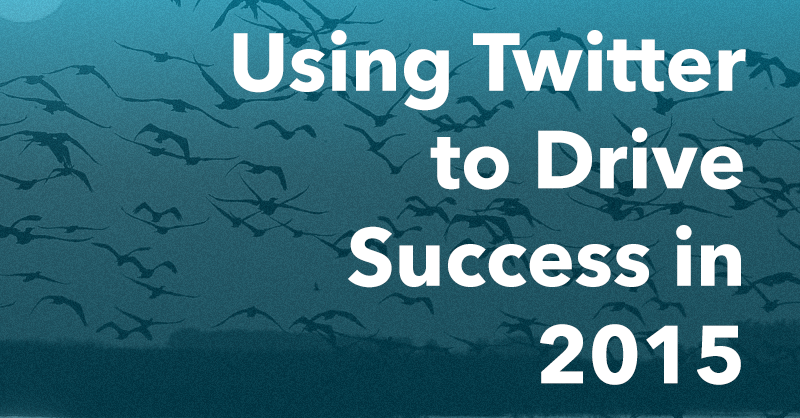 To explore new tactics and techniques for maximizing Twitter results in the coming months I brought together some of the top users of the platform to share their secret to Twitter success in 2015. As far as social networks go, Twitter is overwhelming. There are so many small communities to discover, niches to explore and best practices to master. According to their company page, there are currently 500 million tweets being sent per day, which makes it more difficult than ever to stand out on the social network. Luckily for us, the guests on my Twitter chat this month have been using Twitter since 2008 to drive results for their businesses, make meaningful connections and share their ideas consistently. For August’s #InsiderChat, I invited experts Lolly Daskal, a consultant, coach, speaker and writer for Inc and Fast Company, Madalyn Sklar, a social media strategy consultant and host of the Twitter Smarter podcast, and Gail Gardner, a freelance writer and small business content and social marketing strategist to provide direction and their recommendations on how to help drive results on Twitter today. Q1: What benefits does Twitter have today for YOU versus using other channels? To begin I asked what made Twitter uniquely valuable. 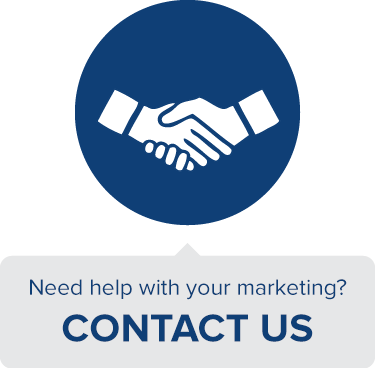 The first step to determining if a channel is right for you is attempting to figure out the distinct value it brings to your overall marketing efforts. Lolly Daskal, who has built a Twitter audience of over a million members, points out very succinctly that Twitter’s core benefit is that it allows you to expand your circle of influence way beyond your immediate acquaintances. As Gail Gardner further points out, Twitter not only grabs attention, but it spreads that intent around better than any other platform. Due to Twitter’s highly community driven nature and fairly democratic culture, even normally hard-to-reach people are more readily accessible. As Ideon points out rather well here, Twitter is perhaps most beneficial for marketers because of its highly responsive nature. Not only do you have access to people who want to pay attention, but everything about the platform inspires those normally hard to reach people to take action and evaluate what you have to say or show right away. Q2: What tips do you have for crafting tweets worth engaging with that drive action? Now that we have shown why Twitter is such a great channel for marketers, a natural follow up question is how to craft compelling tweets that take advantage of this opportunity. Madalyn Sklar draws attention to an often overlooked feature of Twitter. Simply tagging people is a great way to call specific attention to your ideas and also to spur those you mention to reciprocate and mention you back. Aubrey’s point is one that is often acknowledged but not followed nearly as much as it should be. Whenever possible, include visuals in your tweets. Make them punchy and clean and take pains to be more visual-focused across social, but on Twitter in particular. Lolly’s punchy tweet is a less tactical and more strategic idea, but it is still incredibly useful. When people claim they don’t have anything to share, it’s often because they’re thinking about what to share about themselves. Twitter is much more about sharing for your audience, and constantly having those people in mind and actively searching for great things to share will ensure that you are relevant and top of mind. Q3: How would you suggest using other forms of media in your tweets like photo, GIFs, video etc? Visuals, as we already mentioned, are incredibly important. However, visuals can take many different shapes and all the different options Twitter gives are worth exploring. Accomplice has a great call out here. Twitter cards are a relatively new feature that there is no reason not to take advantage of. These rich embeds allow for robust media that you can attach to a tweet and not have to sacrifice on length. They’re a must have when it comes to creating engaging tweets. Gail’s point here is a very straightforward piece of tactical advice that is all too often ignored. Even if you don’t have Photoshop, simple cropping is well within the abilities of free software and making sure that your dimensions for imagery are correct will go a long way towards making the most of the platform. Joe Gelman cuts to the heart of the real benefit of visuals on Twitter. Images have no limitations, making them a necessary compliment to your text which you are pretty stringently limited on. Twitter is not like Pinterest or Instagram, which are completely visual, but images can still compliment and enhance your message. Q4: What works on Twitter today that didn’t before? Also, what no longer works on Twitter? Twitter has not only been around for a long time, but it has changed pretty drastically since it’s early days. Seeing as all of our guests have been using the platform since its infancy, I thought it was wise to ask them what has changed and what stayed the same. Madalyn reiterates a previous point here, and I thought it was worth including again. Tagging is such a fundamental component of Twitter as a platform and it is one that is so infrequently leveraged. People mistakenly think that tagging out to another profile will diminish their influence, but as Madalyn emphatically tells us, the opposite is true. Tagging can multiply your influence. These next two answers both hammer home a similar point that bears repeating. Twitter feels a lot like an ideal broadcasting tool. It has great reach and is very active. However, the type of activity and messaging that works more than any other on Twitter is of two-way conversation. There is no faster way to disengage and distance an audience than (paradoxically) to treat them like a traditional audience. Don’t broadcast, initiate a conversation. Don’t dictate, discuss. You can certainly promote yourself sometimes, but it is a right you have to earn. Q5: How can a business audit their Twitter use & develop a unique approach moving forward? Once you make sure your Twitter efforts are aligned with the best practices of the platform and you have optimized your efforts, the next step is to get data-driven and investigate your findings. Gail draws our attention to a wonderful tool called TwitterCounter that offers a simple and intuitive way to track your Twitter account’s growth, reach and impact. These are all trends to consider and tools like this help store your insights in one place. The following responses are much less about how to analyze your current account and more about how to plan what to do next. As we’ve already established, tapping in to the right audience is key. But how do you determine what that ideal audience is. Luckily Twitter itself can serve as a great audience research tool. Twitter’s advanced search feature can help you discover great topics to share and a combination of Twitter’s built-in analytics and outside tools like SpiderQube can help to identify the core audience to share these insights with. Q6: What are your favorite Twitter accounts to follow focused on Twitter marketing & why? After going through a lot of theory and abstract high-level direction, I thought it would be great to see some practical examples of great Twitter marketing in action. I would highly recommend exploring all of these accounts and paying attention specifically to the concepts we discussed above. The best way to learn is a combination of exploring and actually putting what you learn into action. So what are you waiting for? Get out there and start tweeting! I host #InsiderChat on the last Wednesday of every month at 1PM EDT to 2PM EDT to discuss how to do marketing the right way with key experts in the industry, don’t forget to join us for the next #InsiderChat on September 30th! Subscribe for calendar reminders here.